Fresh after scoring a hat-trick for his country against Haiti, Argentina captain Lionel Messi has spoken about his team’s chances of winning the 2018 FIFA World Cup in Russia. The runners-up at the 2014 showpiece kicked off their preparations for this year’s tournament with a 4-0 hammering of the Caribbean minnows in Buenos Aires on Wednesday morning. 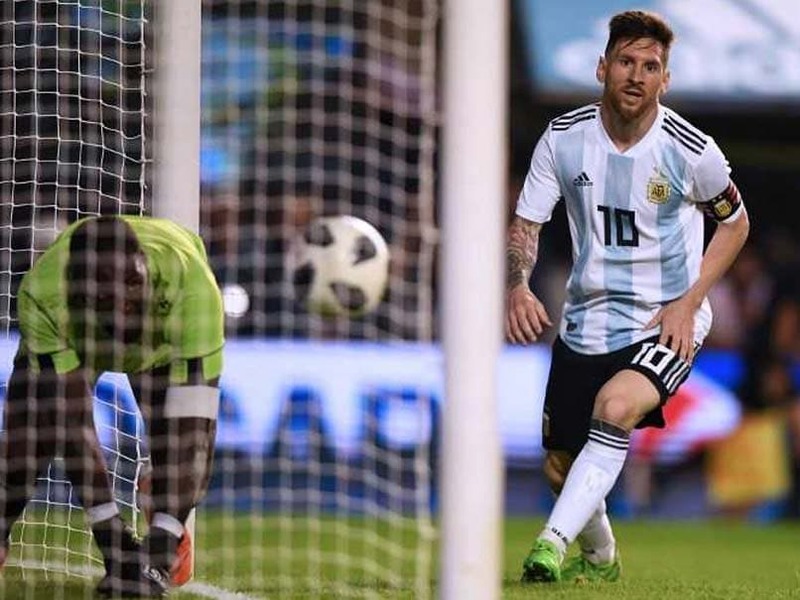 Although Argentina scored four goals and kept a clean sheet in the game, Messi has insisted that they are not among the favourites for the competition this time around. “I am very grateful to all the people, we always feel the affection of all, not like other times that we received insults,” the Blaugrana superstar said, as quoted by FourFourTwo. “We all go to Russia for the same reason, the World Cup is the dream of us, of the country. We are not candidates, but we are very good, training and improving day by day. We have good players, and we are getting stronger to fight as an equal with anyone. “In a World Cup, logic is almost never given. We have to aim to win the first game, which is the most important because it will provide us with peace of mind. Let no one have doubts that we are going to try everything, as people always ask us. The Albiceleste’s next friendly is against Israel on 9 June, before going head to head with Iceland, Croatia and Nigeria in Group D at the World Cup.